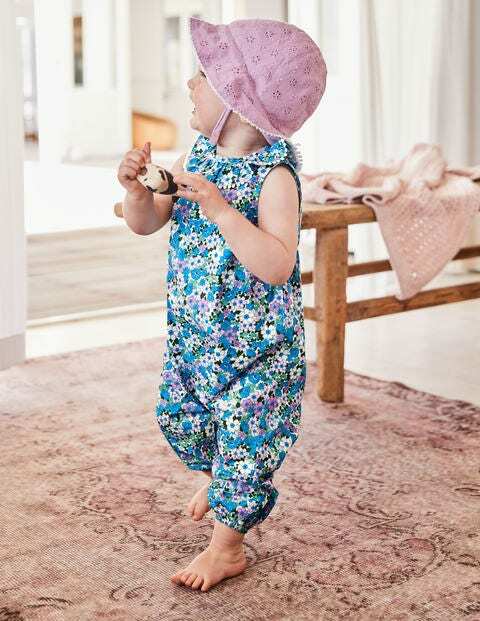 With this easy all-in-one cotton playsuit, there's more time for sunshine, parks and attempting those first steps. It's made from cool and comfortable lightweight fabric, while the poppers down the back make for effortless dressing. The floral print is a perfect match for blue skies, and it's all finished with butter-wouldn't-melt ruffle detailing and a pom-braid trim.